Nice find. Not a common jar. I saw them in the list of manufacturers posted by Chamster #434. No idea of numbers made or surviving though. £5 from my favourite junk shop, complete with an aftermarket balestring carry handle. 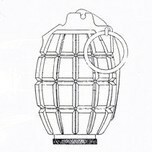 Does any forum member own a still sealed jar? Wow. Super. Never seen that seal before. The only sealed jars I've heard about were from WW2 and may not have had a Deptford seal. Unusual colouring, very nice item. Have yet to find or discover anyone who has a sealed Jar. Still a possibility, I presume? 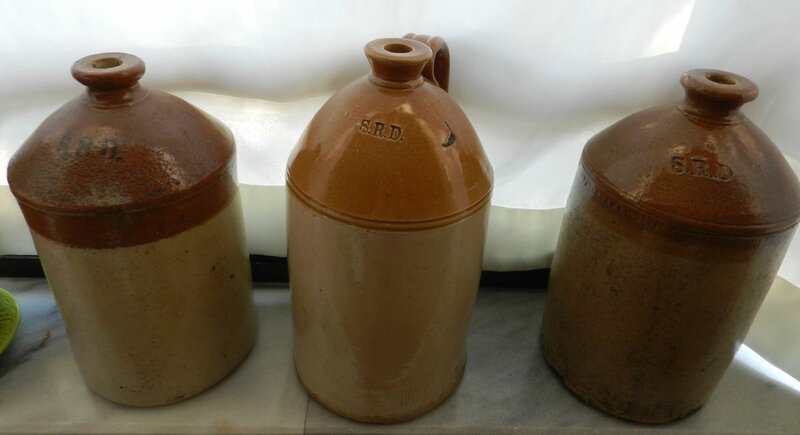 A few years ago four sealed jars were found at a British military base in Germany. They were auctioned for charity. I realise that somewhere in the previous 456 an answer for the following question might be found - but please bear with me! 2) the other impressed "S.R.D. ", and poorly stamped, but apparently "HUNTS / B****** / ******", I assume for "HUNTS / PATENT / LIVERPOOL" with the standard cylindrical body but a single handle and a convex conical upper part. 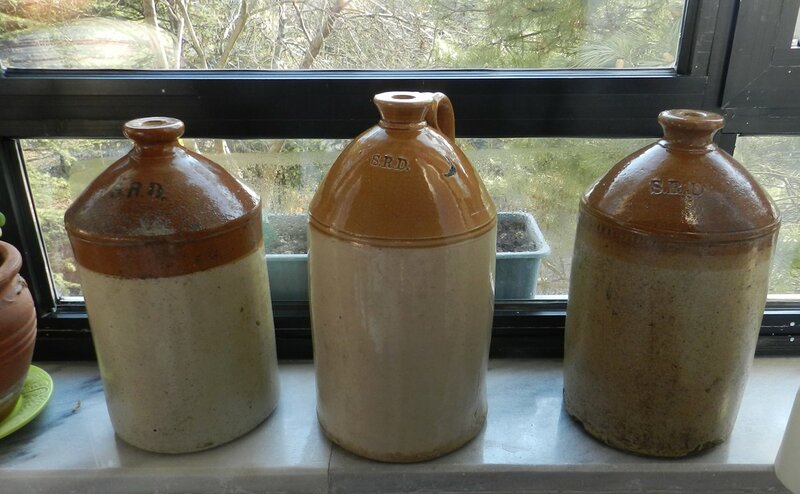 Now to my question - I understand from looking through some of the above posts these jars were made into the WW2 period, so if not date-stamped, how does one tell a WW1 example from a WW2 one? And whiat are mine? Bear in mind, please, that as an archaeologist, I am well-used to typological and seriation-dating with regard to ceramics, and so I wondered if this had been done with SRD jars or if a study of their maker's marks had ever been attempted! Thanks in advance for help from one or more of you specialists out there - or any others! I don't recall anyone developing a table listing the years of production. Some suppliers are relatively easy - Pearson's I think changed their name sometime after the Great War and later versions bore their changed name. I have a Doulton Ltd Lambeth example that I bought from John's cafe at La Boisselle quite a few years ago. Not absolute proof of the production date, but pretty certainly sourced locally on the Western Front. Gunner B might have pulled together more detail. The vast majority of WW1 jars are undated. Bateman's were dated 1914 and 1915 (from memory) but the rest were undated. Some numbers that look a bit like dates are Inspectors marks - mainly Price of Bristol comes to mind. I'm pretty sure Doulton only made the jars in WW1. In WW2 most of the jars I have seen (without wicker basket work - submarines) have been dated. 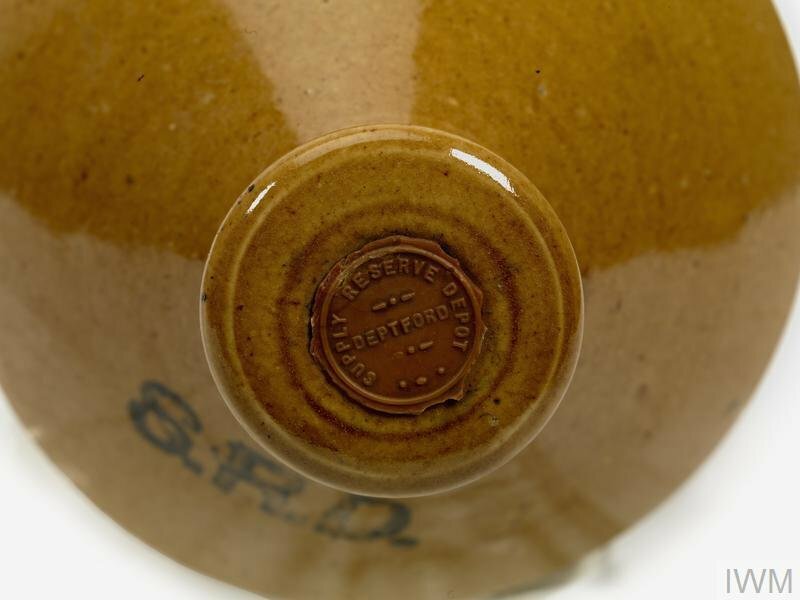 The most common WW2 maker Pearsons not only dated their jars but also used a different makers stamp from WW1. 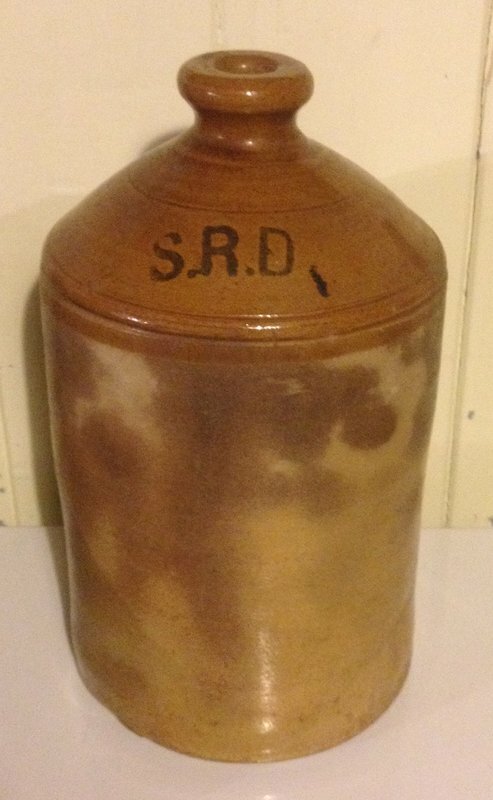 One maker - Moira Pottery only made SRD jars from the 1920's but I have not seen any I could link to WW2. So I would be pretty confident your jars were WW1. Gosh Keith and Gunner, You chaps are very quick and have provided very helpful responses! Many thanks! 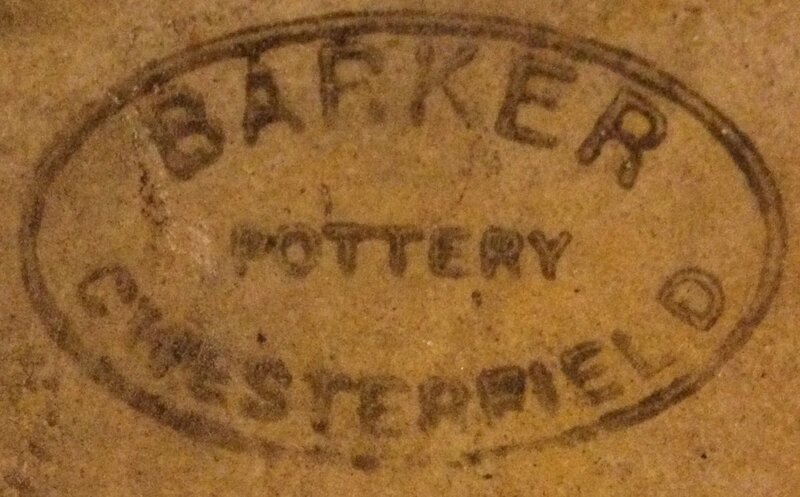 I had though that the maker's marks might provide the best clues as to date rather than shape. And so the odd (to me) shape of the "HUNTS / PATENT / LIVERPOOL" one is not diagnostic? Hmm. Of course finding and buying these in Turkey naturally makes me think WW1 and either Gallipoli or Palestine or Middle-east - especially as given their size and weight I can't really imagine them travelling that far from where last officially used! So, I'll just assume that more likely WW1 than not. On a side note: near to the CWG cemetery in Rome is Monte Testaccio, which means 'Sherd mountain", as it is where the Roman importers of olive oil and wine dumped their old amphorae, and which has provided the best evidence we have for the actual trade in these liquids as well as changes in makers, origin, and form over time, from top to bottom... How nice it would be to excavate a similar sherd mountain of SRD jars at Gallipoli or somewhere else - I have seen photographs of these being smashed close to the beaches at the former - and do something similar with these as with the Roman amphorae. These jars often had a long service life. They came in a large range of sizes with the most common being 1 gallon and 1/2 Gallon. After use they were recycled wherever possible. There are even glass versions for acid. I would not discount some WW1 jars also seeing service in WW2. In the early days of WW1 some regiments insisted that the CO sign a chit saying that the low temperature required an issue of rum. Not sure they could do that in Gallipoli ? I've not been there but apparently SRD shards can be frequently found on the El Alamein battlefield. In the early days of WW1 some regiments insisted that the CO sign a chit saying that the low temperature required an issue of rum. Not sure they could do that in Gallipoli ?... I've not been there but apparently SRD shards can be frequently found on the El Alamein battlefield. Thanks for extra comments on these - and yes Gallipoli could be pretty nasty winter weather-wise in 1915 - and in 2019! GB and Commonwealth reports on this are supported by Turkish accounts. There are certainly photographs of the jars being smashed up on the beaches during the evacuation. What has surprised me with these ones is that none of the three individual sellers ever pushed a possible 'Gallipoli' connection unlike the bayonet sellers, who will push any WW1 bayonet as being from there - my most fun and recent case of this was a P.1907 with a clearance hole (introduced in 1916) and a RAF marking (no earlier than 1918).... Hmmm... But I have even seen a rusty curved Jambiya offered as a Gallipoli weapon. PS: When with Bristol City Museum I helped excavate several kiln sites, and the middle one here - the Liverpool one - reminded me coulour and quality of the Price products. Regarding the desert, I have some personal photos taken by a Royal Tank Regiment Major in the 1950s who took a group of trucks and jeeps on a cross desert trip in Libya as a training exercise. One of their stopping points was an old SAS camp at a tiny oasis. It still had the SAS rigged shower! So there is also possible post war use for North African sites as well. Thanks John! Even my wife and visiting ma-in-law like them! Almost a first regarding anything I have brought back from the monthly Antika Pazari! Off-topic, yes, but of interest to me and possibly others - any evidence of them being (re-)used in the European theatre in WW2? Also, no literature on the subject? Not even a 'Shire Guide to ..."? If not, that is surprising! I started the thread to see if there was any cbok on the SRD. The most I've seen printed was a few pages in the French Militaria magazine. There's some good dedicated collectors who have contributed to this but the definitive book still has to be written. King's Emporium in the old town, Margate, Kent has a Dolton SRD jar with the best original metal carrying handle I've seen. £48 ono. Sounds nice! But 34 hours driving and 3,429.6 km via A3... Perhaps I'll give it a miss...! 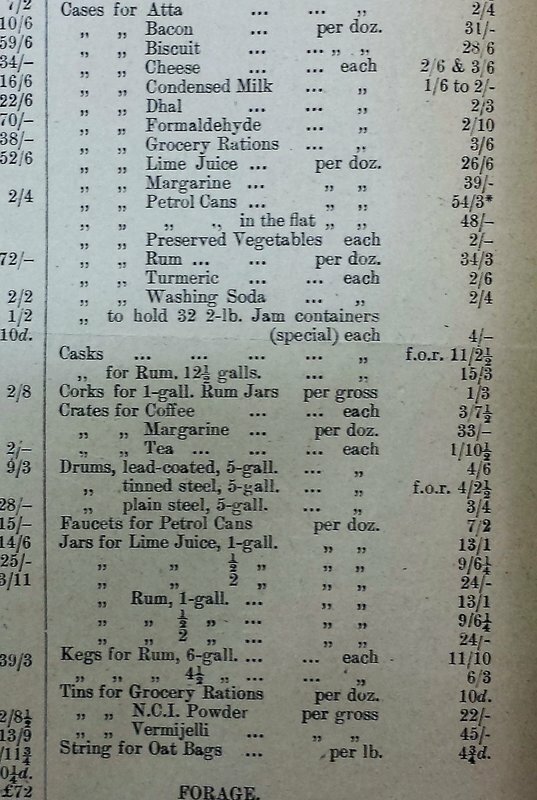 Hopefully of interest - the attached excerpt from Priced List of Stores (July 1918 in this case) gives prices for empty rum jars, casks, kegs, corks and cases, delivered to Home Supply Depots. Great document! Rum, lime juice and ink are the most frequently stated contents of an SRD jar. It would be good to know more contents. Certainly of interest in more ways than one - being a reasonably proficient curry cook nice to see dhal and turmeric mentioned! Ive never seen any jar marked for lime juice or disinfectant. There is of course the story of the soldier who found an SRD jar lifted it to his mouth and took a large mouthful of disinfectant, which killed him. I'm surprised by the cost of the jars. I thought they would have been cheaper. Cheap enough at 13/1 for a dozen, so about 1/- each! And certainly cheap by the price we have to pay for them today! In Turkey they go for betwen TL 100 - 250, so GBP 14 - 35.00... What is the general price in the UK? £5 bargain, junk shop - £30-35 boot sale- £50 posh antique shop. Oh yes missed the dozen! The one I saw in Margate was the best I've seen.